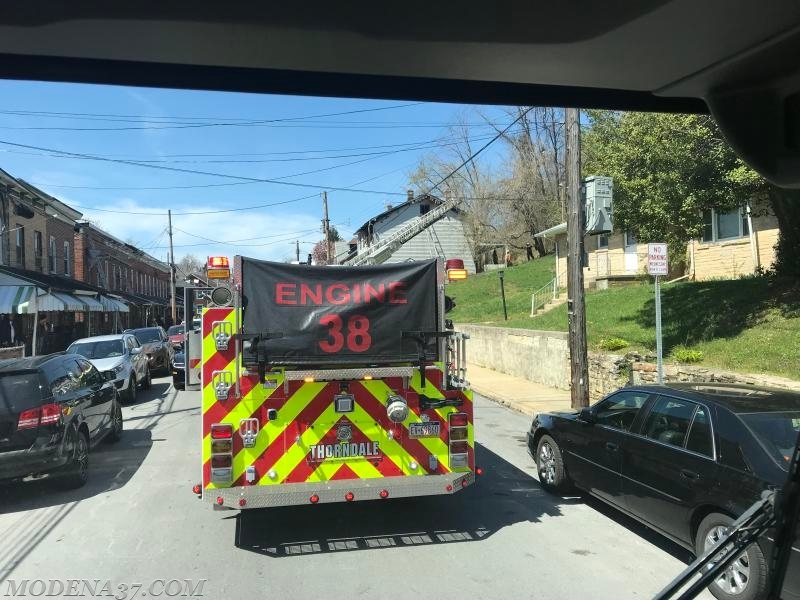 On Monday April 23rd at 10:22 am the company was again called out to service at a dwelling fire in the city of Coatesville 615 Coates St. After an exhausting weekend with our own incidents we got the call to help the city being a weekday we went to response check at that time we streeted engine 37-2 with driver and 4 upon our arrival the crew went to work on a half of a double along with members of stations from the City, Wagontown, VA Hospital, Westwood, Parkesburg, Cochranville, Sadsbury, East Brandywine, West Whiteland, Unionville. It was the first warm dry day of the year and everyone worked hard and got very exhausted, they made numerous trips into the building as the fire had spread throughout both sides. The fire was extinguished and the county and state fire marshals started their investigation. The company was released at 13:00 and returned to station to put the truck back into service.